Inglis is delighted to announce the appointment of Patricia McCloskey, MSN, RN, NHA, as Executive Director & Administrator of Inglis House. A talented leader with in-depth expertise in the administration of long-term care services, Patti is responsible for the comprehensive management of Inglis House. “I am honored and privileged to be at Inglis and to work with a supportive executive team and a staff dedicated to enabling Inglis residents to ‘live life to the fullest,’” she said. Patti came to Inglis in May 2017 as Interim Director of Clinical Excellence, charged with leading Inglis’ performance improvement, infection prevention and control, and regulatory compliance activities. Due to her superior long-term care services acumen, she was promoted to Co-Executive Director, Director of Clinical Services in July 2017, and to her current Executive Director position in January. One of Patti’s first goals was to rebuild a new nursing leadership team. During the past several months, Patti and her team have worked to refine clinical services that enhance staff efficiency, quality of care and most importantly, quality of life. Patti’s initial career goal was to become a dentist. However, after volunteering at her local community hospital and a long-term care facility, she discovered that her true passion was nursing. Her earliest nursing positions were in acute care, and she transitioned into long-term care for an opportunity to establish ongoing relationships with residents and their families. Before coming to Inglis, Patti was a consultant with Strategic Solutions Healthcare Consulting in Barrington, NJ. She is the former Executive Director of Health Care Quality Assurance and Compliance at Lutheran Social Ministries in Burlington, NJ. Prior to that, Patti was Director of Clinical Standards at NewCourtland in Philadelphia. She has also held Director of Nursing roles at Penn Center for Rehabilitation and Care and Logan Square East, both in Philadelphia. 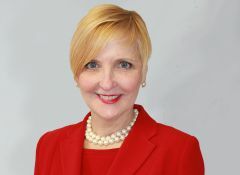 A licensed nursing home administrator, Patti holds a Master of Science in Nursing from the University of Pennsylvania, and a Bachelor of Science in Nursing from Temple University. 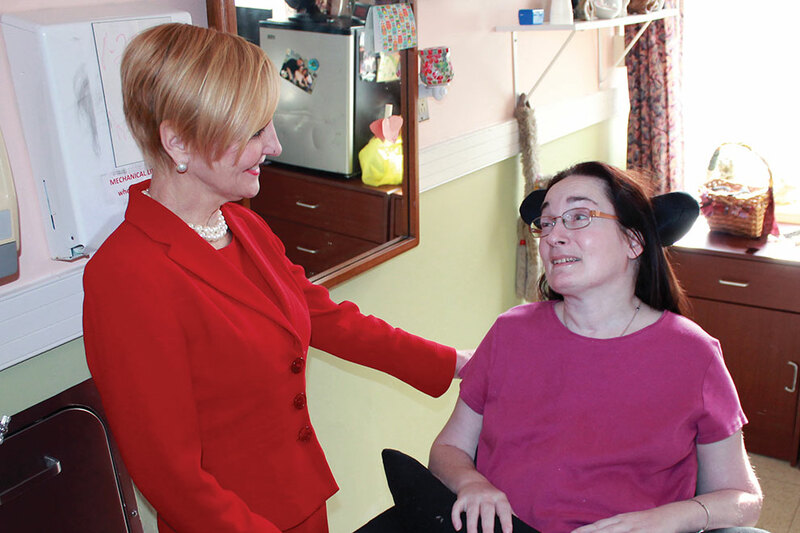 Pictured above, Patti visits with resident Kristin Lech.